Get excited, the new and third edition of the Pyranha BURN is finally here! I had the chance to paddle it for the last couple weeks and it’s an awesome boat! The boat is super easy to paddle and feels really smooth down the river and in and out of eddies. 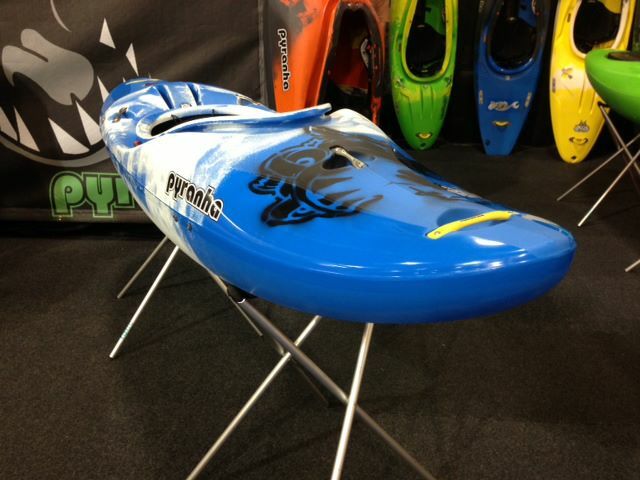 It tracks really well and allows you to throw some aggressive moves, it’s a super fun boat to paddle. It’s big nose allows you to boof easily over anything and keeps you dry going through waves and holes keeping its speed really nicely. The outfitting it great 2014 Connect allows you to really feel good with your boat and control it with your body. Overall it’s an awesome little boat and can’t wait to paddle mine for the next season starting so soon! I think this boat is going to be great both for teaching/learning and river running, creeking and racing! So pretty excited about this design, make sure you check it out and try one cause its worth it! Increased Length – Extra speed & smoother tracking. Sharper Edges – Greater control & precision for river running and playing. Re-profiled Stern – Edge where you need it & reduced drag. Tweaked Rocker – Ride high over features and get the all-important boof when you need it. Volume Distribution – Confidence inspiring ride for intermediate paddlers or those making steeper descents. Re-Profiled Cockpit – Reduce deck implosions and ease carrying. 2014 Aluminium Grab Handles – Stronger & more durable, attached with captive inserts for a drier ride. 2014 Connect Seat – Longer more ergonomically shaped seat pan provides an adjustable system that gives a bomb proof seating position. Increase Speed, Greater Control, Smoother Tracking. 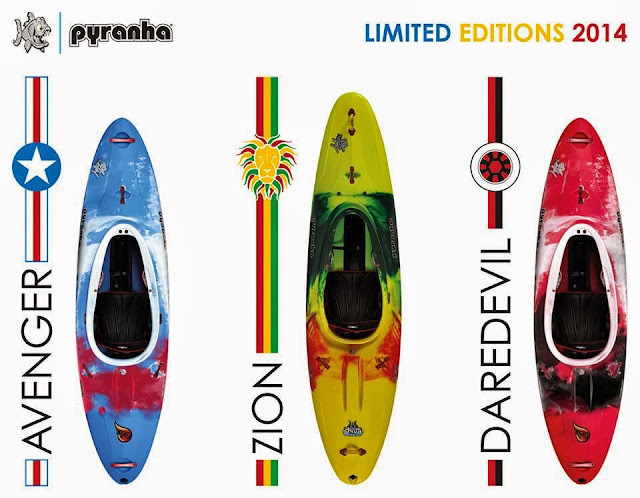 And some sick limited edition ones, make sure you order your favorite! Here’s a little video about the new Burn III from Pyranha. I had the chance to paddle the M size on the Sick-Line race course in Austria at a good flow and paddle it as bit more in Sort. My impressions on the boat were great and I can’t wait to have the large with me and paddle it everywhere. The boat is really fast and easy to track, it’s really maneuverable and precise which is great for tight lines and catching eddies. I’m really stoked on this boat and I thin it’s going to be really fun to paddle!